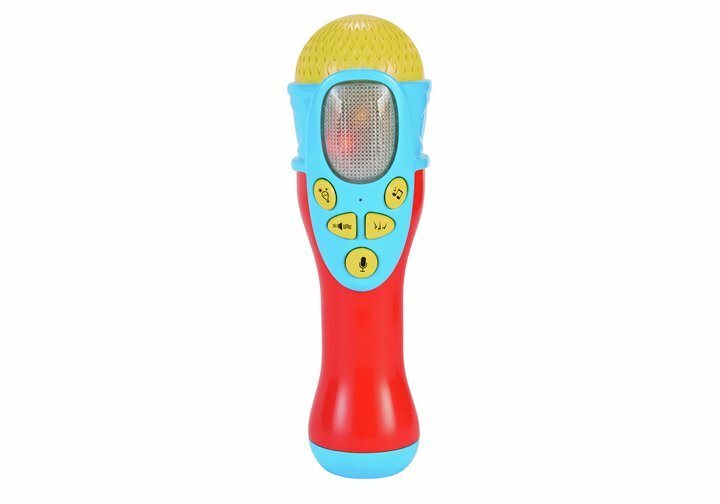 Perfect for little musicians, the Chad Valley Microphone helps aid the development confidence of your most cherished; a toy that'll certainly get them on their feet and boogying! Pressing the buttons kids can enjoy a good old sing song with six (6) various voice modifying effects, multicolour flashing light and sound effects to add to the visual and aural experience plus ten (10) demo tracks. Listen on as they sing their hearts out; you may have the next superstar in your midst! Get money off with April 2019 free Argos voucher codes, see if there's a discount code for the Chad Valley Microphone product. 3.8/5 from 13 recent reviews.